Kirsten Dunst & Jesse Plemons' Emmys Mistake Ended Up on TV! 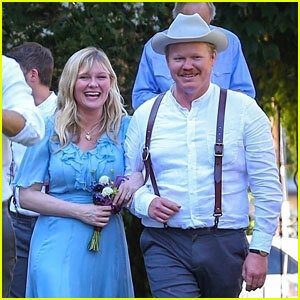 Kirsten Dunst & Jesse Plemons' Newborn Baby Boy Name Revealed! Kirsten Dunst & Fiance Jesse Plemons Welcome Baby Boy! Kirsten Dunst Looks Radiant in Red While Out to Lunch! Kirsten Dunst Cradles Baby Bump While Shopping! Kirsten Dunst Picks Up Some Baby Items on a Shopping Trip!